FOR SALE: All new lay-out. 2018 Jayco Whitehawk 29FLS with bedroom in the back and living in the front. Only 6932 lbs. Prices so low we can't list them here. Stronger frame, stronger roof, stronger floor, stronger warranty. Call Tigerbob today at 989.670.3058 for details or to get the best deal. 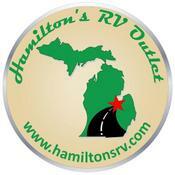 Mid-Michigan's largest wholesale RV dealer. We have a full line of 5th wheels, travel trailers, motorhomes, toy haulers, hybrids & pop up campers with hundreds of units in stock & access to over 3,000 more we have something for everyone! We have been proudly serving the world for 25 years & will beat any deal out there, so give us a call today for the best price in the country on one of our many great products! !